On May 26, 1647, Alse Young of Windsor was the first person on record to be executed for witchcraft in the 13 colonies. Young was hanged at the Meeting House Square in Hartford, now the site of the Old State House. Alse Young was not the only person in Connecticut executed for the crime of witchcraft. Mary Johnson of Wethersfield was executed after allegedly confessing to entering into a compact with the devil, and Joan and John Carrington, also of Wethersfield, were executed in 1651. In 1642 witchcraft was punishable by death in Connecticut, and it was last listed as a capital crime in 1715. “Witches and Witchcraft: The First Person Executed in the Colonies.” Connecticut Judicial Branch Law Libraries, 2016. Link. Grant, Matthew. “Matthew Grant Diary,” ca. -1654 1637. Connecticut State Library, State Archives. Link. Burr, George Lincoln, ed. 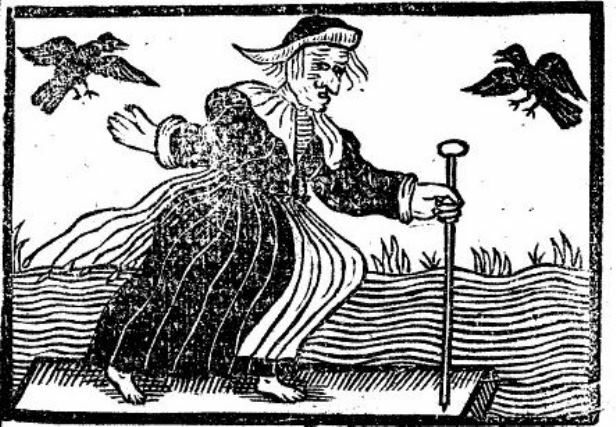 Narratives of the Witchcraft Cases, 1648-1706. New York, NY: Charles Scribner’s Sons, 1914. Link.